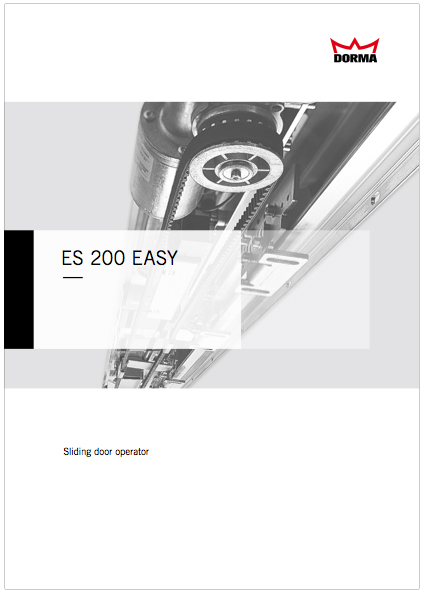 The ES 200 is a modular sliding door operator available in various track heights. Additional modules and options facilitate made-to-measure solutions for automatic sliding doors. To ensure a high level of safety, the product is tested to DIN 18650. The DORMA ES 200 is a completely redesigned sliding door operator that corresponds to all the latest European and German standards and safety regulations. It encompasses a stylish and modern cover design, a motor that ensures a virtually silent operation, a microprocessor that automatically controls the opening and closing speeds of the door, a energy saving power unit and new programming functions allowing for quick and simple installation, set-up and maintenance. The ES 200 is a sliding door operator of modular design that can be tailored individually to prevailing functional requirements. 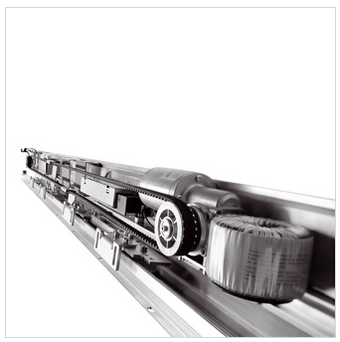 The standardized mechanical components and the replaceable track rail can eb combined with different operators (consisting of drive and control unit, motor and power supply unit).